Born on August 25, 1871 in ﻿Anaqua, Texas﻿, on the San Antonio River, about 20 miles south of Victoria, Texas. ﻿Henry Phelps﻿ eventually moved "up river" to the city of San Antonio, where he began his architectural training as a draftsman. "... around 1902 he formed a partnership with San Antonio architect Solon L. McAdoo. The following year Phelps established his own practice. In 1909 he and D. R. Jacob opened a joint office as Phelps and Jacob, but they dissolved the partnership in 1910. Between 1910 and the early 1940's Phelps operated a successful independent practice. He designed several large commercial structures in San Antonio, including the J. M. Nix Professional Building (1929) and the Maverick Building, as well as number of historical revival-style residences in and around the city, such as the Kampmann house (1922) and the J. M. Nix house (1923). 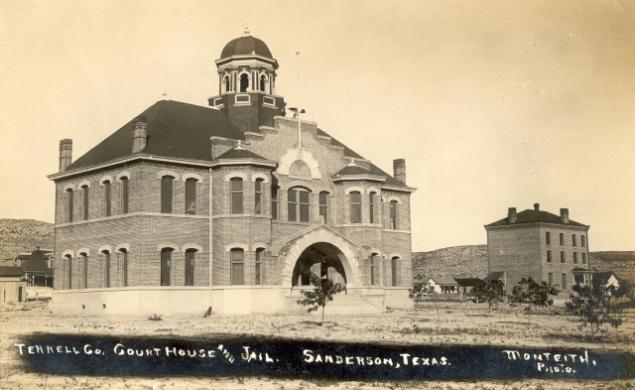 Among his other works were the MKT Depot (1909) in Denison, the Blanco County Courthouse (1916) in Johnson City, the Atascosa County Courthouse in Jourdanton (1912), and the remodeling of the Dimmit County Courthouse in Carrizo Springs (1925). 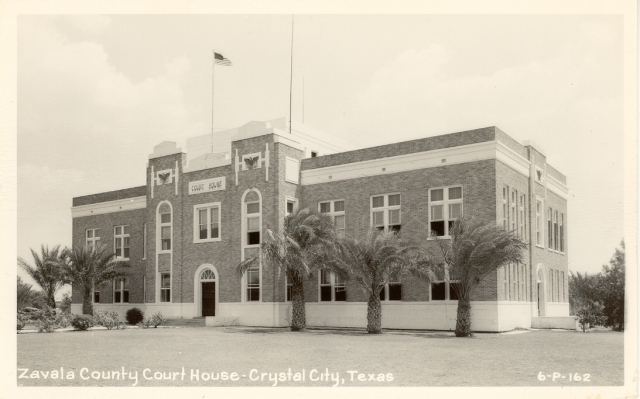 With the exception of the Atascosa County Courthouse, Phelps's practice of courthouse architecture was in the Beaux-Arts Classic style." Handbook of Texas Online, Christopher Long, "PHELPS, HENRY TRUMAN"
Henry Phelps designed 17 County courthouses in Texas. Remarkably, 15 of the 17 are still in use as of 2018. The 1930 cornerstone lists Henry Phelps as the architect.